You are here: Home / Enjoy the Lifestyle / The wedding secret ! When it comes to wedding planning, it can often be slightly daunting thinking of all the suppliers you’ll have to hire and how many options there are. Hampshire especially has a wealth of wedding suppliers covering every category, which is both a blessing and a curse as it means you’re practically spoilt for choice! Luckily, directories such as The Wedding Secret are here to help you find your dream venue and suppliers, and to offer some tips on how to make sure you find the best fit for your unique perfect wedding. Stunning venues such as Riverside Lifestyle in Hampshire can be the ultimate setting for a Wedding where you’d like a little more control over the proceedings with exclusivity, flexibility and the chance to really make the wedding your own. Of course there are many other Hampshire wedding venues such as the Clock Tower, Houghton Lodge Gardens, Oakley Hall, even HMS Warrior but these are more prescriptive packaged weddings which may suit you better. It’s your big day, so it’s not the time to compromise, especially on an aspect that is as important as your wedding venue. 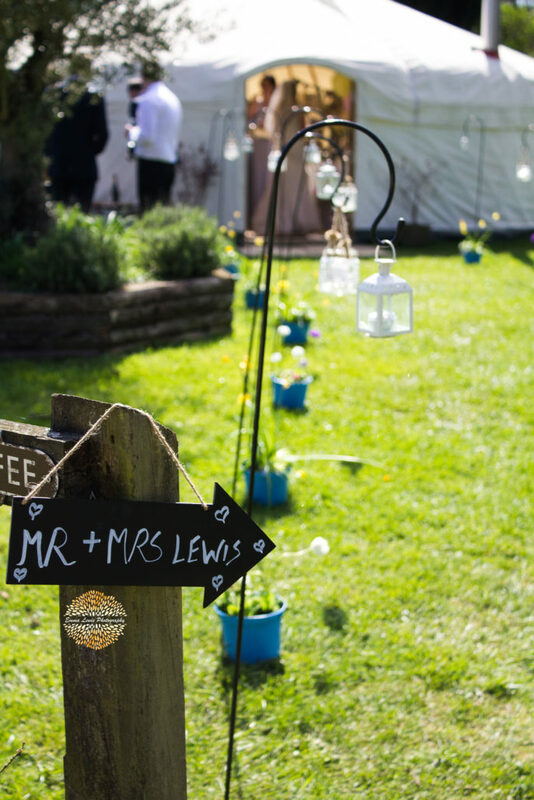 Venues, such as Riverside, allow you to make the place your own, within reason, accommodating for things like marquees or tipi or even additional yurts to the one they have as standard. 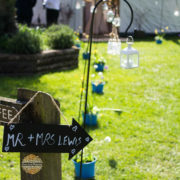 They offer accommodation and space and will discuss with a blank page your ideal setting, offering their caterers The Little Kitchen Co and florists like Judith Searle, and even wedding games with the opportunity to create a themed wedding. 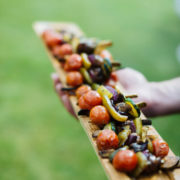 This is completely ideal for couples looking to create their perfect day from scratch. Personal and flexible are important to Riverside. Riverside is a hidden gem giving you exclusivity. It’s the ultimate venue to get creative, imaginative and put your style into the day. The gorgeous surrounding gardens and fields are the ultimate setting to erect a marquee, tipi, yurt or structure (whichever takes your fancy). Three nights stay in the cottage is included in the cost so you have plenty of time to set up your wedding while having your loved ones sharing the process. It needn’t be a big event – Riverside is set for small intimate wedding as well as bigger grander ones – there are so many areas of the property to use collectively or separately to make your day special. Again, it’s your wedding day. Make sure your venue is just as special and wonderful as you are. Not only will your wedding breakfast be your first meal together as a married couple, it’s also often the element of a wedding that guests remember most. This is partially because the breakfast includes the speeches, but also because great wedding food is always bound to impress. 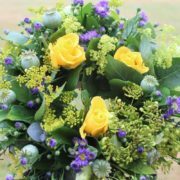 While you may have choices of your own, there are many Hampshire caterers who come highly recommended such as the not so little, Little Kitchen Company, McCrimmon & Reid, WILDS of Stockbridge or Bay Leaves Larder – it is best to arrange consultations and to make sure what they offer is right for you. Riverside offers the ultimate picturesque backdrop to your day. 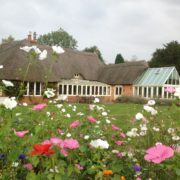 The cottage itself is thatched bringing added beauty to an already stunning building. The surrounding fields are full of flowers and Riverside has its very own field of lavender. There is of course also the river ( River Dever, a tributary to the River Test) where the wonderful light provides a great backdrop. Your photographer will play a big part in your day and will be with you from the preparations in the morning right through the day. With so many talented suppliers in the Hampshire area, such as Martin Bell, ASRPhoto, Shootinghip, and Real Simple, it won’t be an easy choice. But having a look through their galleries will help you to get a feel for what styles you like and what type of shots appeal to you. As most couples who have already been married will likely tell you, finding suppliers who provide exactly what you’re looking for, who you get on with, and who fit within your budget is no small feat. That said, putting in the time and effort to ensure that your suppliers are absolutely right for you is key to making your wedding day as enjoyable for you both as possible. Having a beautiful and flexible venue is a great starting point, then a good wedding coordinator will help you find suppliers and to aid you in the planning process. For a bit of extra guidance, have a look at The Wedding Secret ’s full directory of Hampshire wedding suppliers. http://www.riversidelifestyle.co.uk/wp-content/uploads/2017/10/looking-at-the-yurt.jpg 5184 3456 Clare Clark http://www.riversidelifestyle.co.uk/wp-content/uploads/2015/06/Riverside-logo.png Clare Clark2017-10-07 12:51:052018-03-04 12:42:09The wedding secret ! Delicatessen Mag – whose behind the Bonilla Crisps ?